For the second home match this week we came from behind to claim all 3 points against Darlington RA. The win saw us go level on points with Team Northumbria at the top of the table. Victory came following goals from Tom Coulthard, a first for the Club from Kev Hayes and a Kallum Hannah hat trick. Next up is a tough away fixture at Whickham FC in a league fixture. 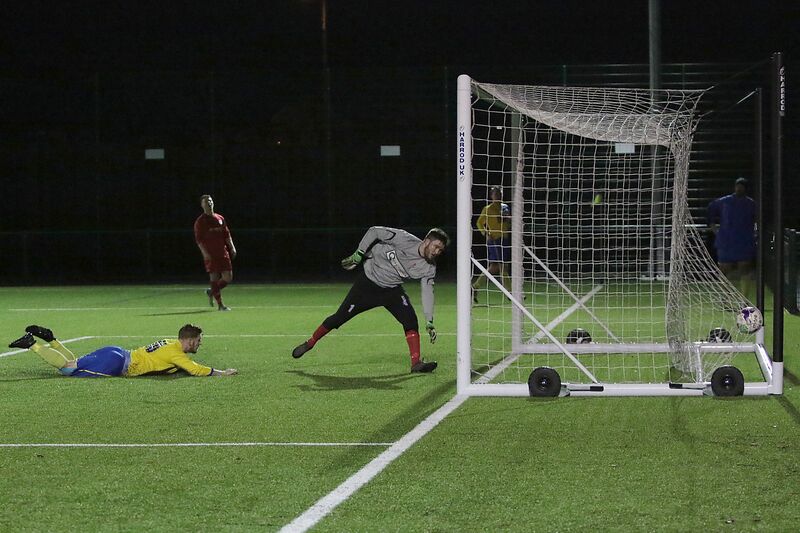 Kallum Hannah’s diving header to claim his third of the game.